Si è tenuta lo scorso 21 settembre presso il Centro Visitatori del Paco Adda Sud a Castiglione d'Adda la prima delle giornate informative sul tema dell'uso sostenibile e responsabile dei prodotti fitosanitari organizzata dal progetto Trainagro, co-finanziato dalla Regione Lombardia nell'ambito del FEASR – Programma di sviluppo rurale 2014-2020. Identify in close dialog and cooperation with all relevant stakeholder groups activities in the wine sector to promote sustainable production within a holistic approach to include quality and socio-cultural importance of wine in Europe. Tratteremo della rete di imprese responsabili costituitasi in occasione del progetto concluso nel 2016 e sarà l'occasione per un momento di condivisione di esperienze positive e competenze di alcuni dei soggetti della rete, nonchè un momento per pianificare azioni future nell'ambito del progettofinanziato dalle Regione Emilia Romagna "CRS LAB EMILIA OVEST, le imprese per l'agenda 2030"
chi sono gli stakeholder attivi. The EU FP7-funded ECsafeSEAFOOD project is holding its policy workshop in Brussels, Belgium on Thursday 21 January 2016. ECsafeSEAFOOD aims to assess safety issues mainly related to non-regulated contaminants present in seafood as a result of environmental contamination and evaluate their impact on public health. 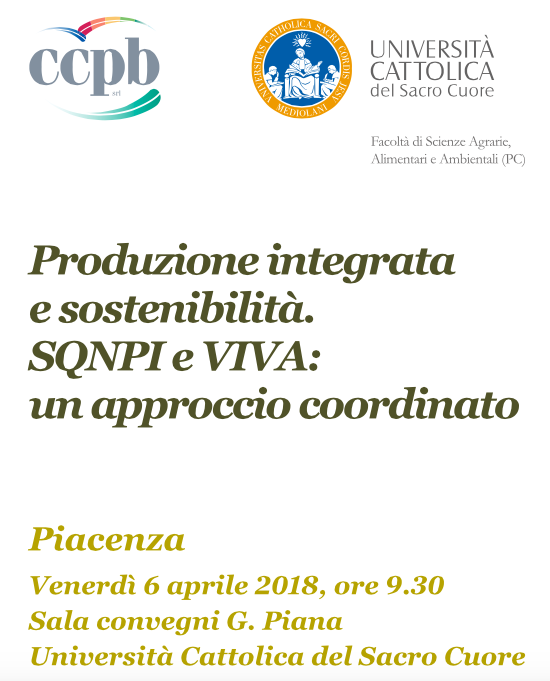 The Symposium is organized by the Institute of Agricultural and Environmental Chemistry of the Catholic University together with a committee of top level scientists and will held general and specialist subjects relating to the environmental fate and risk with particular reference to pesticide behaviour in air, plant, soil and water system. Specific focus is on the use of modelling to support regulatory and policy decision-making, measure for risk mitigation and new technologies/know out for a sustainable use. It was a moment for discussion and study to talk among citizens researchers and public authorities about tourism places and impressions in the territories designed by Leonardo da Vinci.